The Philippine Pharmacists Association, Inc. (PPhA) was founded on 29 August 1920 and is the only Professional Regulation Commission (PRC) - accredited, integrated national organization of licensed Filipino pharmacists with 83 regional and local chapters, 10 affiliate organizations and about 15,000 individual members. 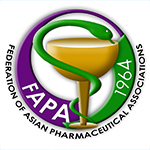 History of The Philippine Pharmacist Association, Inc. Through the years, the PPhA has been very much involved in issues concerning pharmacy profession. It has established local and international partners and linkages with various government and non-government organizations as well as other professional associations. In all of its decades of untainted commitment and service to the profession and to the nation, the PPhA continues to keep itself true to the vision and legacy of its trail-blazing founders. The Philippine Pharmacists Association, Inc (PPhA) was born out of crisis that besieged the profession in the middle of the 1920's. The first issue of the Journal of the Philippine Pharmaceutical Association (JPPhA) was published in September. 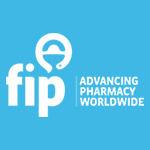 The very first National Pharmacy Week was celebrated on 11 - 17 October. the PPhA became the first recipient of PRC's "Outstanding Accredited Professional Organization of the Year"
The PPhA which promoted the development of the local pharmaceutical industry. The name of PPhA was changed to Philippine Pharmacists Association to emphasize that it is an organization of pharmacists in the country. The Presidents of the Philippine Pharmacists Association, Inc.
1959-1962 Mr. Lupicinio Campos, Sr. 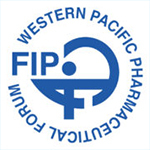 The Filipino pharmacists to be indispensable provide of medication experise. Providing opportunities for continuing professional growth and development of ots members. The PPhA is an association that advances the nobility of pharmacy profession, ensuring its integrity of relevance. Pharmacists are health professionals who help individuals protect themselves against diseases, maintain good health and make the best use of their medications. The pharmacists promote rational use of drugs and ensure the provision of safe, effective and quality drugs for improved patient care and quality of life. This Code, prepared and supported by pharmacists, is intended to state publicly the principles that form the fundamental basis of their roles and responsibilities whicha re based on moral obligations and virtues and to guide pharmacists in their relationship with patients, health professionals and society. A pharmacist places the well being of the patient at the center of professional practice. A pharmacist promotes the welfare of each individual in a caring and compassionate manner. A pharmacist serves the needs of the individual, community and society and provides health for all. A pharmacist respects the rights of patients and upholds confidentiality of patients’ records. A pharmacist acts with honesty, integrity and professionalism in relationship with the patients and other health professionals. A pharmacist respects the abilities, values and contributions of colleagues and other health professionals and work with them closely to ensure better patient care. A pharmacist is committed to continuously enhance professional competence. A pharmacist, in coordination with the government and other health professionals helps in the formulation and implementation of health care policies, standards and programs designed for the benefit of society.